H: Adult man, 52-years-old, suffering from retrovesical reflux and repeated pyelonephritis. INFO/WWW-LINKS: Diverticula of the urinary bladder may be hereditary or acquired. 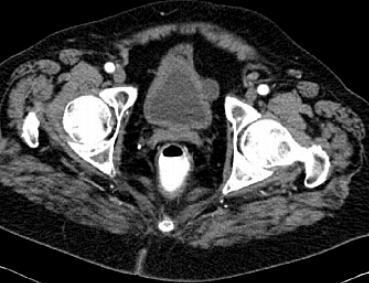 Acquired diverticula of the urinary bladder may be caused by obstruction of the urinary tract e.g. hypertrophy of the prostata and repeated inflammation of the urinary bladder.